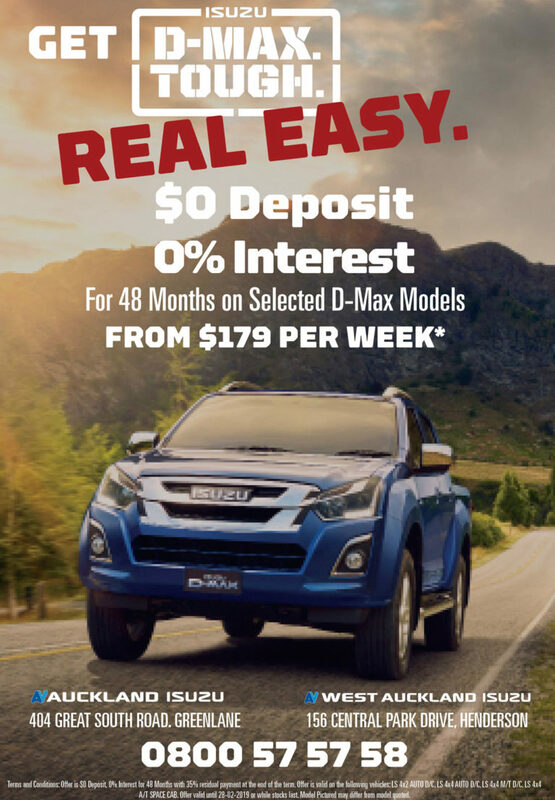 As one of the largest and most respected dealerships in New Zealand, we can pull together some pretty awesome deals for our customers. Check out our latest promotions or pop in to one of our branches for an offer tailored to you. Now here’s an email sign up you’ll actually want to be part of! If you’re not ready to buy just yet, why not sign up to be alerted to future offers? We don’t email often so when we do you can be sure it’s worth waiting for. Once a quarter we’ll let you know about our special offers, VIP events and giveaways. Dreaming of your next vehicle? Book a test drive today and the dream could become a reality. Take a D-Max Ute or an MU-X SUV for a spin with Auckland Vehicles Isuzu Test Drive.